Over the years, the cricket fans have always preferred their favorite cricketers following the spirit of the game code. However, perceptions regarding the same vary from person to person. One such incident occurred during the ongoing IPL 2019, as KXIP skipper, R Ashwin rightfully ran out or mankaded Rajasthan Royals’ Jos Buttler who was out of the crease, as the bowler was about to bowl. Despite receiving criticism after the act, Ashwin stuck to his stand, while cricket fraternity claimed that mankading should be removed as a form of dismissal. Others said cricket is a batsman-friendly game and staying out of the crease is taking undue advantage. 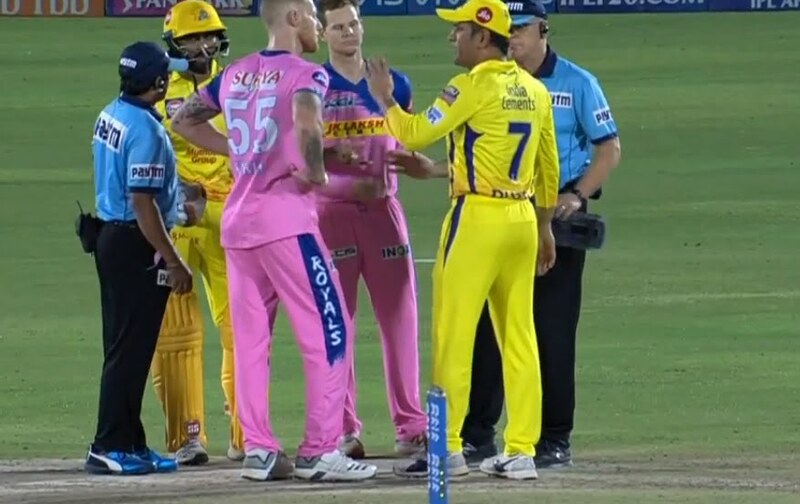 The most recent match between Chennai Super Kings (CSK) and Rajasthan Royals (RR) saw CSK captain MS Dhoni entering the playing area despite not being allowed on it legally and had a big argument with the umpires. This happened as the non-striker umpire had called a Ben Stokes’ delivery no-ball for being a waist-high full toss. But the square leg umpire Bruce Oxenford didn’t think it was a no-ball and the decision was later reversed. This led to Jadeja and Santner arguing with the umpires and they were joined by a furious Dhoni, who in baseball style stormed the field to argue and broke the rules of conduct by the skipper. After the heated commotion, which also involved RR skipper, Ajinkya Rahane and Stokes, the reversed decision stood. There is nothing wrong in what Dhoni did today, we seen upto now that how many mistakes that umpire's did this season as a captain if he didn't fought for his own team then he shouldn't take the charge of captaincy.